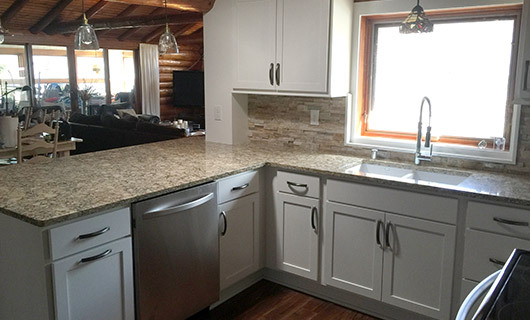 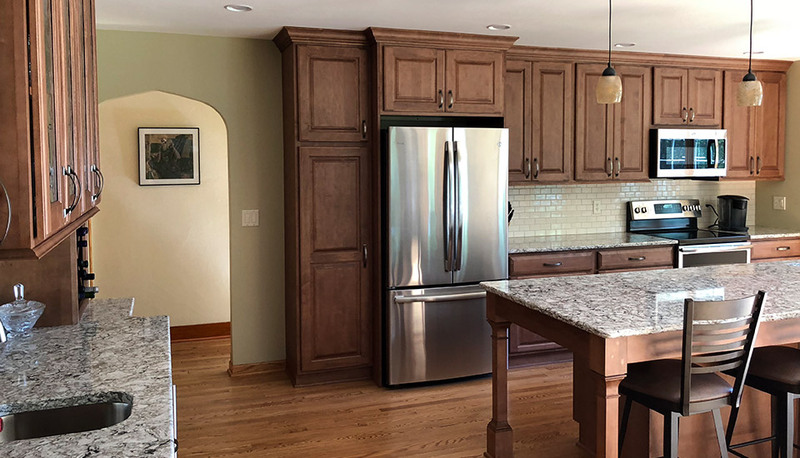 For this kitchen remodel, our clients wanted an updated look to match their clean, stainless steel appliances. 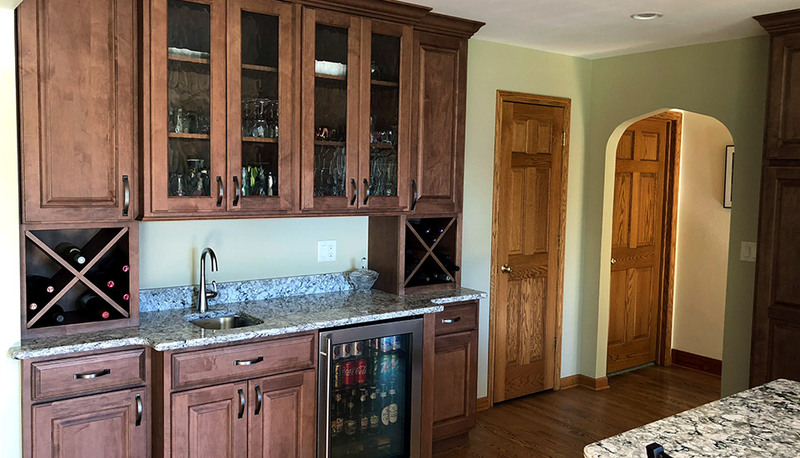 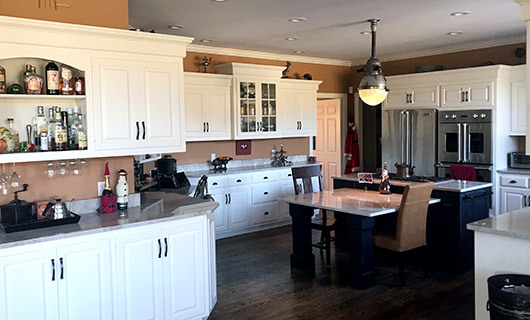 We started with all new custom Showplace maple cabinetry finished with pecan stain to darken the wood and add beautiful texture and depth to the wood grain. 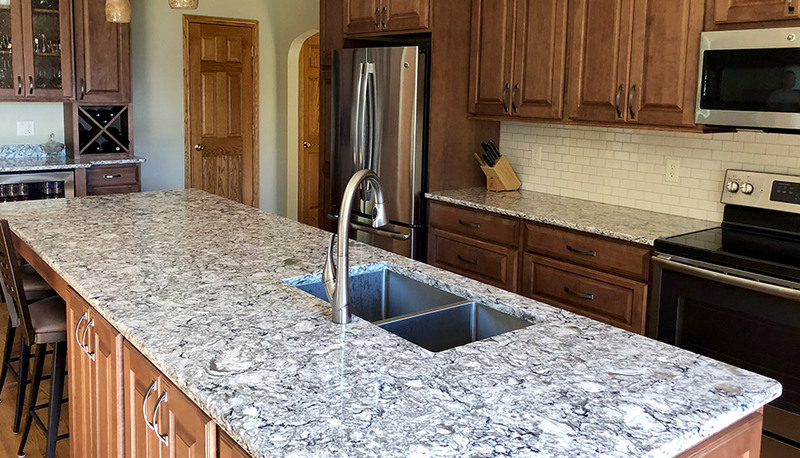 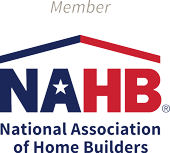 To add a touch of the modern we installed new Cambria quartz countertops featuring an ivory, gray, and black marbled pattern. 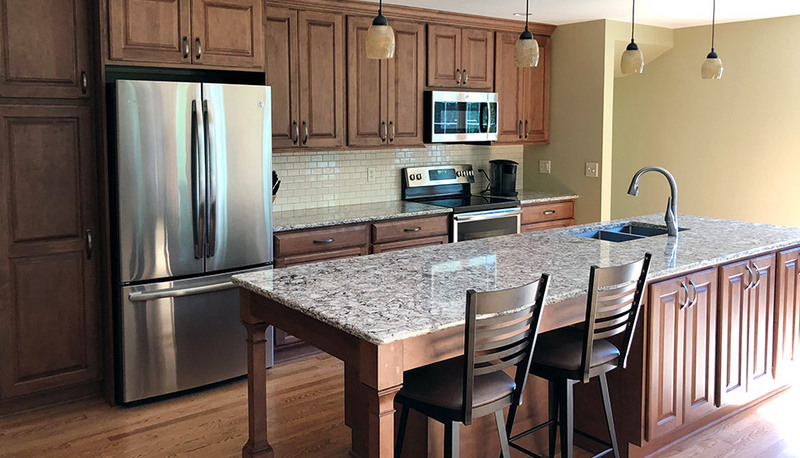 The kitchen island got an update too, with the same pecan-stained cabinetry and a full-size quartz countertop to accommodate meal preparation and seating. 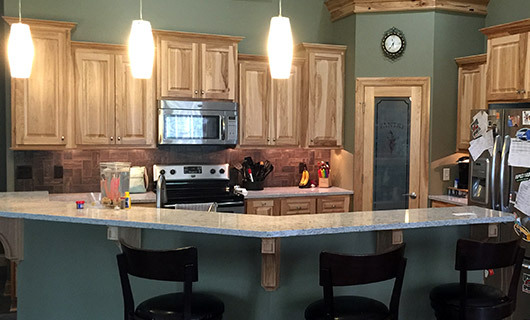 The open floor plan and ample counter space make this kitchen ideal for cooking and socializing!